Electric powered grinder. Sandpaper, plastic dust container included in the package. Electric powered grinder. Sandpaper, plastic dust container in the package. Electric powered bench grinder. Spark guard, workpiece support. 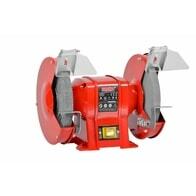 Electric powered bench grinder. Spark guard, workpiece support included. 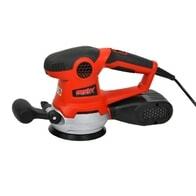 Oscillating electric grinder with power input of 300W. Package also includes 32 mm blade for cutting wood, plastic, walls and other materials, spatula, 2 pieces of sandpaper (grit 60 and 120) with an applicator and a box to carry. 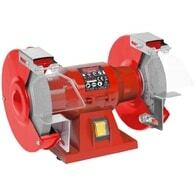 Electric powered bench grinder. Wet and dry grinding. Spark guard, workpiece support. 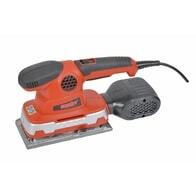 Electric hand-held belt sander. 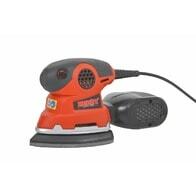 Power consumption 810 W. No-load speed 380 RPM.Sanding belt 533 x 76 mm.